Hash oil can be smoked, eaten, vaporized, or rubbed on a sore muscle. The result is always the same: it gives you that enjoyable “high” feeling that you get from cannabis plants. Nicknames used to describe hash oil include marijuana wax, dabs, and BHO, among many others. 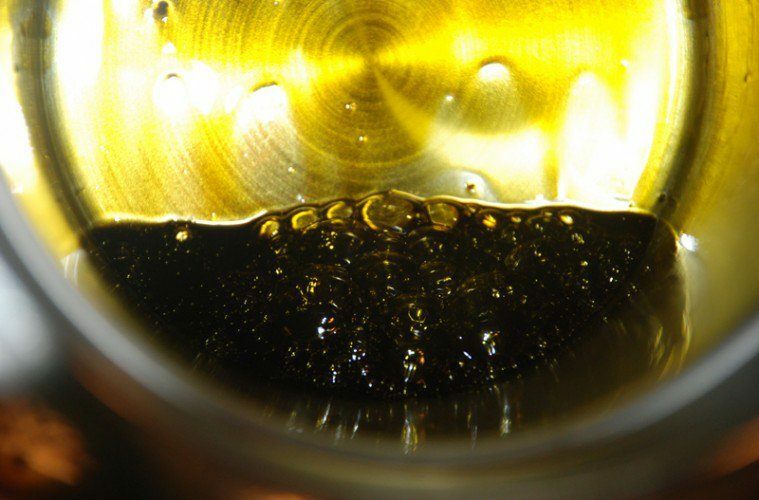 With a reputation of being more potent than plain marijuana flower, hash oil has a higher concentration of THC. Hash oil users don’t only use this substance to get high, but they also utilize it for illnesses, or to make balms and edible products. You may be wondering how this oil gets extracted from the plant matter. The process requires the use of a solvent. The safest options when choosing one is carbon dioxide and ethanol because they are not explosive or toxic. Many users prefer butane since it is a lot cheaper, however, this is an explosive and toxic solvent. If you’re not careful, you can endanger yourself and others around you. What Are the Benefits of Hash Oil? Hash oil is often referred to as honey oil due to its golden color. People make use of this substance in a variety of ways. The benefits go way beyond obtaining a high. Hash oil can also be used as a form of pain relief for those facing life-threatening conditions or chronic diseases. Its medicinal value has made it a popular choice among users. Even though consumers have shared that the intake of hash oil has improved their condition, it is important to understand that it is more potent and has higher levels of THC than marijuana in its plant form. For this reason, it’s recommended to be used in moderation. There are many ways to enjoy the benefits of hash oil. Users may smoke, eat, vape, or apply it directly onto the body. There is debate on vaping vs smoking and which is better. We will talk about this a little later, however, keep in mind that the result will always be the same because of how potent this substance is. Let’s talk briefly about the different ways you can consume hash oil. Smoking – A very commonly selected option, this product can be smoked by applying it to an oil dab rig. This helps users achieve the highest intensity medication possible. Edibles – There is also the option to consume hash oil through baked goods. When consuming raw, you may not get the intended results since the hash oil is not activated. Vaporized – Another popular way to ingest this oil is through the vapor method, which consists of a vape pen. There are other portable or desktop vaporizers that you could use, however, they don’t tend to work as well. This method gives users a pure flavor of the extract while avoiding any combustion of the material. In this guide we will how you how to make hash oil in two simple steps. While two steps are all it takes, we recommend not making this oil if it’s your first time. Instead, seek the help of an expert or purchase it from someone that you know. Separate the oil from the plant by using a solvent such as carbon dioxide or ethanol with filter (coffee filter is good) in glass container. While butane is less expensive, we recommend staying away from it since it is explosive and toxic. There have been many incidents where users start a fire or cause an explosion. Heat it on boiling water to evaporate ethanol from the oil and there you have it. Your product will range in texture from olive oil to a sticky toothpaste. It may also turn out hard, brittle, or powdery. The difference in appearance comes from the process, strain, pressure, and temperature that you use, but the effects of use will be the same. What Is a Hash Oil Pen? Vape pens can be loaded with extracts such as hash oil. In fact, this golden honey-like substance is the best type of oil you can use for a vape pen. You can make the process of placing the oil into your pen simple when you use a syringe. Simply place the oil in your atomizer and you’re all set to begin vaping. There are many hash oil recipes you can find online and down below to make your very own vape juice. The use of vape pens is a trend that continues to be growing. When making hash oil for your vape pen, you want to store your oil in a syringe to make it easier for you to vape. You can utilize a homemade vaporizer or a sublimator vaporizer to obtain a pleasant experience. Learning how to make hash oil for your pen is simple and only requires two steps. 1. Gather the materials. You will need hash oil and a liquidizer. 2. Mix the two together and voila! You’re all set. Of course, it’s easier said than done, which is why we recommend seeking the help of an expert to be sure you’re making it right. More commonly known as BHO, butane hash oil is the smokable version of hash oil. Made from marijuana, there is a reason that it has become so popular in the past few years. If prepared correctly, BHO can be extremely enjoyable. We recommend making this honey substance yourself to assure you of what is in it and that it was made safely. Making BHO is not a simple process since the process to make it includes an extremely high risk. Messing up a step even slightly is very dangerous to your well-being and life. Unless you are an expert or are making this substance with one, we recommend you do not make BHO if it is your first time. If made incorrectly, you or others may end up inhaling an unhealthy substance. The process of making butane hash oil requires preparation and a good understanding of the making process. Precautions must be taken to avoid an accident since it is highly flammable. Be sure to make it outdoors as you can catch yourself and your house on fire if done indoors. Be sure to keep a fire extinguisher handy and always, always wear safety equipment! Consequently, butane hash oil is safe for consumption only if it is evaporated correctly. If it is not, smokers might smoke both good and bad substances, making it unsafe. When comparing BHO with regular marijuana, you will find that good BHO is much purer. These three types of oils differ from one another and are all used for different purposes. For example, hemp oil can be found at most health stores, is great for cooking, and is used for health and beauty purposes. Containing no THC, this content will not get you high. Hemp oil also tends to hold higher CBD levels. Hash oil, on the other hand, contains a high dosage of THC, causing users to become high very quickly. It is very potent and easy to get high from. Cannabis oil differs from hemp and hash because it has a very strong aroma and comes in shades of green and brown colors. 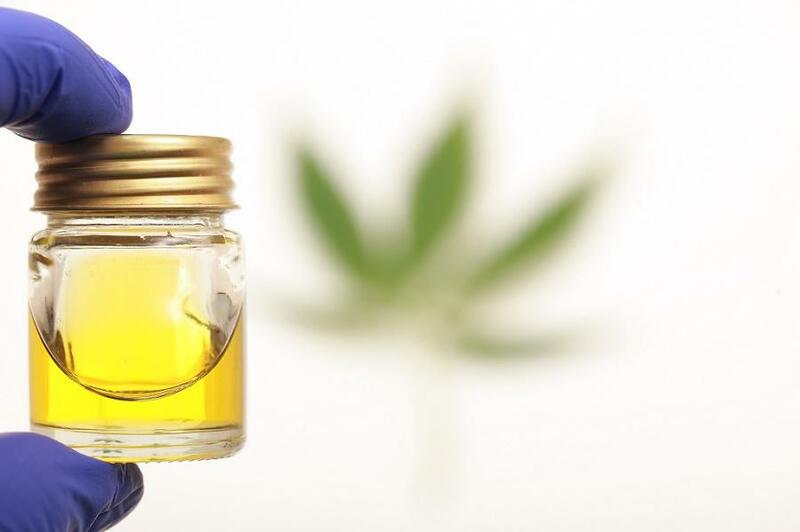 Cannabis oils contain many therapeutic properties and cannabinoids, making them great for treating chronic pain and illnesses such as cancer, arthritis, Crohn’s disease, among many others. You can make all three oils. While cannabis oil is simple to make, hash oil is a bit more complex especially if you use the solvent butane. Be very careful when making this substance or seek the help of an expert. Hemp oil can be found in most health stores as it contains no THC. Dabbing is another method to consume hash oil. You may be wondering what is and how to dab. Dabbing rules are fairly simple. The basic idea is that you take some hash oil and dab a bit of it on the end of a needle-like apparatus. A popular choice is a titanium needle along with a bong (the bowl where the hash oil will go). Next, the bowl needs to be heated to a high temperature. You’ll want to use a blowtorch, rather than a lighter because you’ll need the bowl to heat up until it is red hot. Then, with the dab on the end of the needle, press the dab of hash oil against the hot bowl. From here, you inhale. Keep in mind that your dab size needs to match your tolerance level, otherwise you’ll inhale too much. Because concentrates are extremely strong, know your limits. The best way to do so is starting off small. To dab, you need a dab rig, nail, heating element (blowtorch), dabber, and of course hash oil. The concentrates you use for dabbing are usually known as wax, budder, shatter, or BHO. This is a popular trend because users experience an instant high that is more powerful and lasts longer than regular highs. 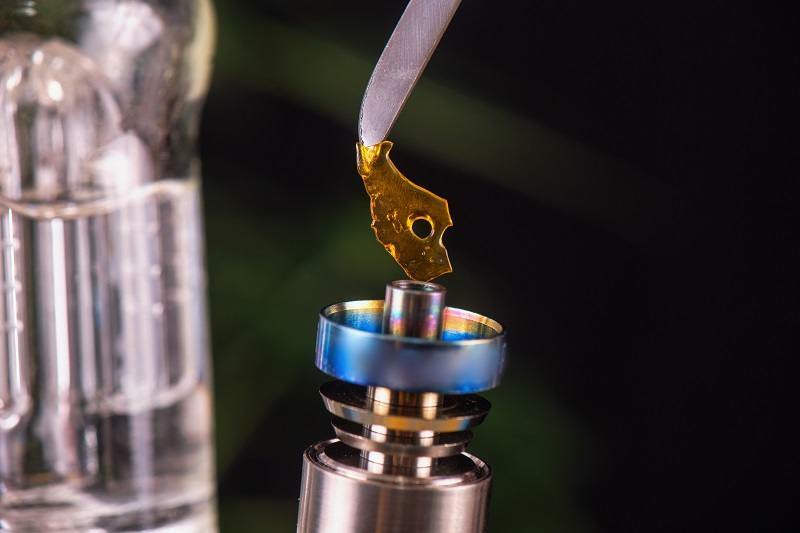 There are also a methods of smoking without a rig, but before you learn how to smoke without a rig, we recommend you learn the basics of dabbing. The best dab rigs are those that are portable and efficient while providing a full dabbing experience. When looking for top rated dab nails, consider the joint size and nail type. Types range from titanium, ceramic and quartz. Whichever you decide, you will need a blowtorch for heat. Top torches for dabs include the Culinary Prestige Butane Torch, Kitchen Crème Dab Torch, and the Inflame Butane Torch.